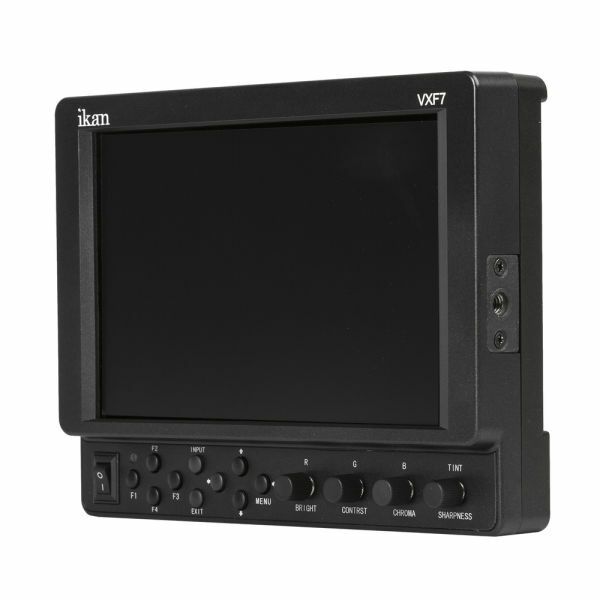 Outstanding 4K image quality is now available for the VX monitor series! The VXF7 features a beautifully sharp, full HD+ 1920 x 1200 IPS LCD panel. 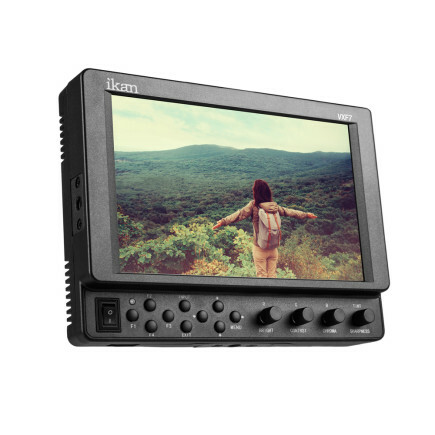 It comes with many standard features such as peaking, false color, zooming, pixel-to-pixel mapping and histogram levels. This type of quality ensures you will capture your desired shot on the first try and makes the VXF7 monitor the ideal workhorse for any production environment. The VXF7's full HD+ panel is incredibly sharp and pristinely clear. Blacks are deep, colors are amazingly accurate and the viewing angles are nearly perfect on the 1920 x 1200 (screen) resolution. Incorporating the IPS LCD panel eliminated many issues such as bad viewing angles and color rendition that occurred with standard TFT LCD panels. What you get with this on-camera monitor is nothing less than stellar image quality. 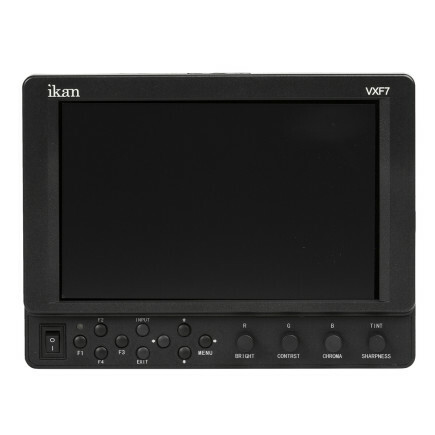 The VXF7 is a professional tool designed for the working professional. 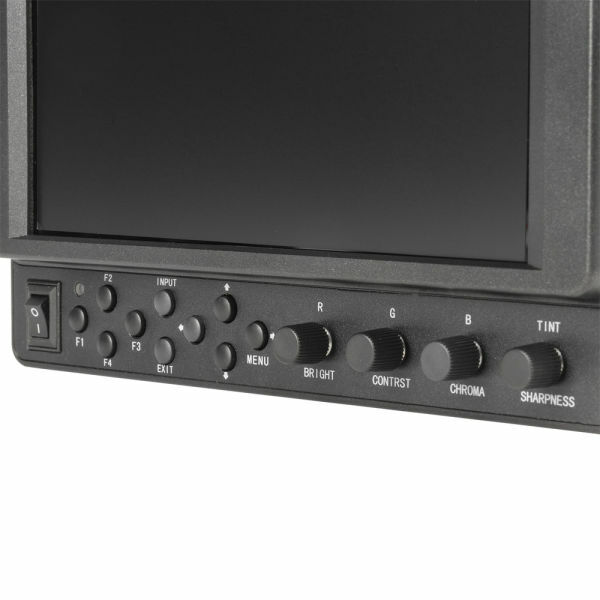 The ergonomics and button layout provides ease of use in the field. Four knobs on the front make it easy to adjust settings such as brightness, contrast, and color. 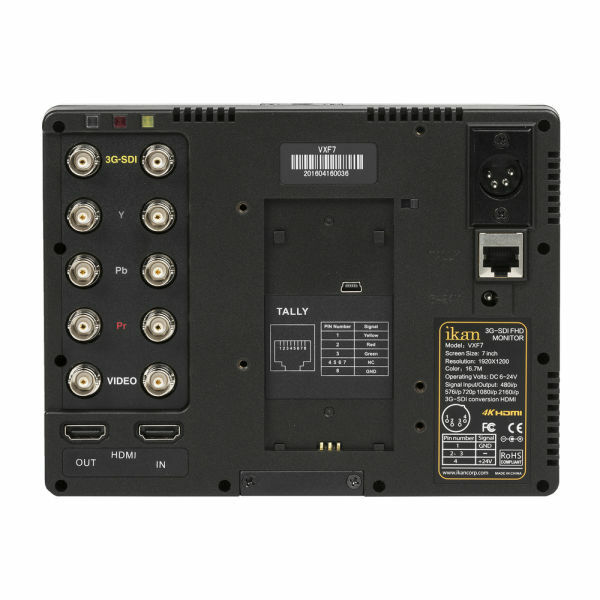 The back of the monitor is equipped with professional BNC connectors to keep your cables in place. 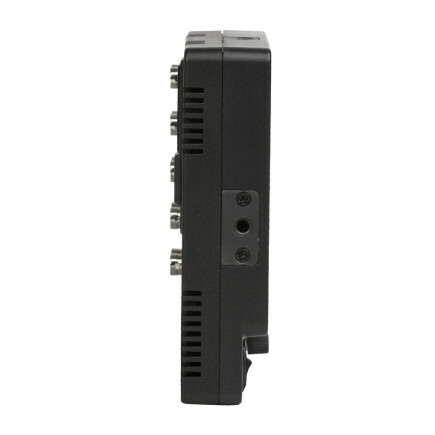 A locking 4-pin XLR power input is also included so you never have to worry about losing power with a loose connection. The VXF7 pairs perfectly with your current or future 4K compatible camera. It supports both the Ultra HD 3840 x 2160 resolution and Full 4K 4096 x 2160 pixel resolution. To help you focus with such high resolutions, we included the Pixel-to-Pixel mapping feature, which provides a 1:1 pixel representation of the 4K image coming through your camera lens. The VXF7 features multiple inputs and outputs including composite, component, 3G-SDI and HDMI. Whatever signal is sent your way, the VXF7 is capable of handling it. Need to convert from SDI to HDMI? The VXF7 can quickly loop out your SDI signal to any HDMI monitor. 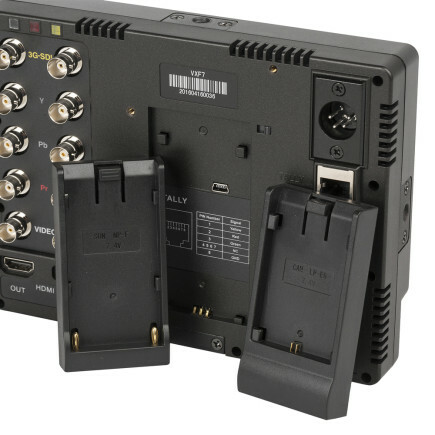 Both the Sony L series and Canon E6 battery plate comes with the VXF7 monitor. If you need a different type, we also offer the Canon 900 series, Panasonic D54, Panasonic G6, Nikon EL15 and Sony BP-U battery plates. 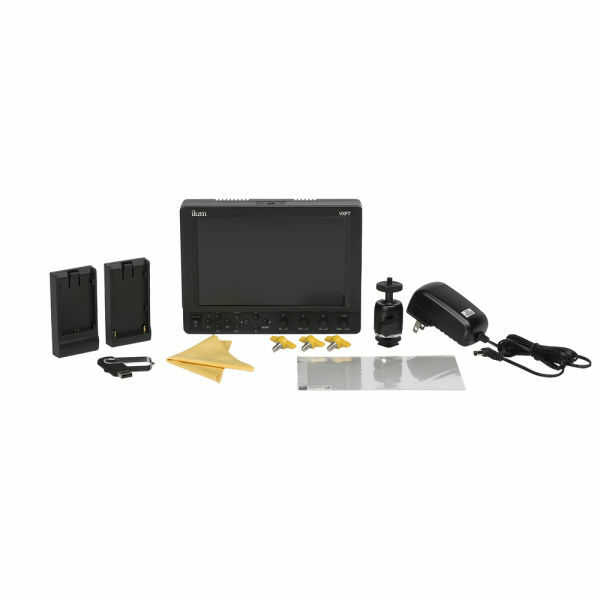 Included is a heavy-duty shoemount, screen protector and a screen-cleaning wipe for a complete product package. Shipping Dimensions: 3 x 14.75 x 7.75 in.